Contrary to general belief DOT NET is not a single technology. Rather it is a set of technologies that work together seamlessly to solve your business problems. The following sections will give you insight into various flavors and tools of DOT NET and what kind of applications you can develop. 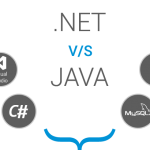 When you hear the name DOT NET, it gives a feeling that it is something to do only with internet or networked applications. Even though it is true that .NET Training provides solid foundation for developing such applications it is possible to create many other types of applications. Following list will give you an idea about various types of application that we can develop on DOT NET. 3. Console applications: These refer to traditional DOS kind of applications like batch scripts. 6. Web Custom Controls: The concept of custom controls can be extended to web applications allowing code reuse and modularization. 8. Windows Services: They refer to applications that run as services in the background. They can be configured to start automatically when the system boots up. 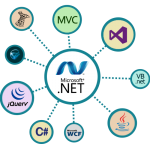 As you can clearly see, DOT NET is not just for creating web application but for almost all kinds of applications that you find under Windows.